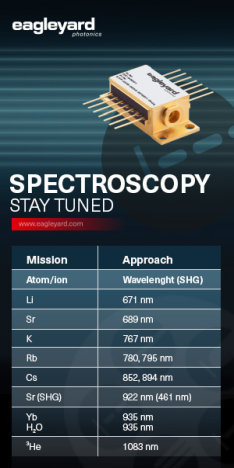 The RP Photonics Buyer's Guide contains 6 suppliers for white light interferometers. 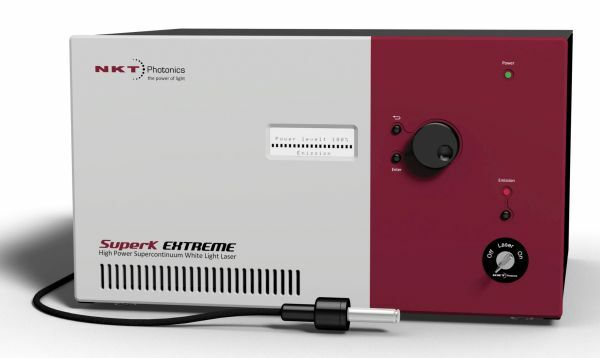 Ask RP Photonics for advice on how to measure the dispersion of dielectric mirrors or other components with a white light interferometer, what sets the noise limits, etc. A white light interferometer, used e.g. in the context of low-coherence interferometry, is an interferometer, typically a Michelson interferometer, which works with a white light source, i.e. with a light source with broad optical bandwidth. The light source does not necessarily operate in the visible spectral range, really generating white light. Its temporal coherence has to be fairly small, whereas a high spatial coherence is normally needed. The high spatial coherence combined with a broad bandwidth can most easily be obtained by launching light from a bulb into a single-mode fiber, but this leads to a very small launched power. The radiance (brightness) can be increased by many orders of magnitude by using a superluminescent source such as a superluminescent diode. In some cases, wavelength-swept tunable lasers are used. The detector in a white light interferometer can either be a photodetector which integrates contributions of different wavelengths and records the signal in the time domain, or a spectrometer (spectral interferometry). 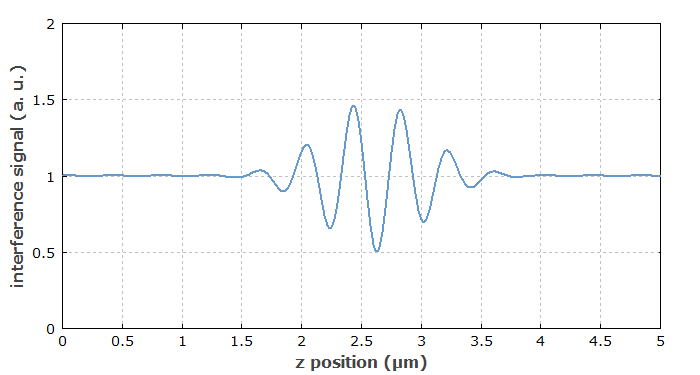 Figure 1: Simulated signal as obtained in a z scan with a white light interferometer. Zero optical path length difference occurs at z = 2.6 μm. Medical imaging is possible with the technique of optical coherence tomography, which is essentially based on light white interferometry, at least in its original form. The measurement of chromatic dispersion. Here, the dispersive optical element is placed in one interferometer arm, and the detector signal is monitored while scanning the relative arm length through some range. Around zero arm length difference, interferometric wiggles occur, whereas the signal is about constant for large arm length differences. With strong dispersion, the recorded interferogram becomes broader. By applying a Fourier transform algorithm to the recorded interferogram, it is possible to retrieve the complex reflection or transmission coefficient of the device under test, and numerical differentiation reveals the wavelength-dependent group delay and chromatic dispersion. The measurement of distances. Compared with interferometers based on narrow-linewidth laser sources, the typical ambiguity issues are avoided. A special case is the measurement of surface profiles. For example, a Michelson interferometer with a CCD camera as detector may be used. Again, images are recorded for different arm length differences. Each pixel displays the interferometric wiggles around the point of zero arm length difference at the given transverse location. Unlike the situation in a narrow-band interferometer, no phase-unwrapping procedure is required, so that even rough surfaces can be easily handled. Similarly, reflections within a photonic integrated circuit can be detected.